Kaka Halwai to the taste buds of the ever-so-choosy connoisseurs of quality sweets. Order the Pista Malai Burfi from Kaka Halwai today and we deliver to your loved ones in India. 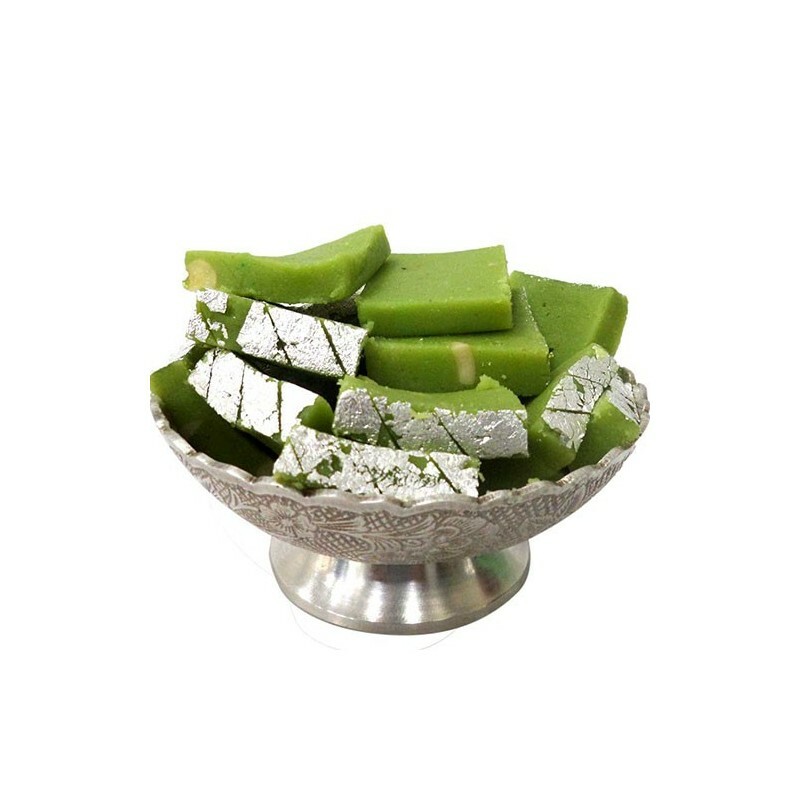 Pista Malai Burfi is one of the most favorite sweet variety of All time. Thanks oyc for delivering the best quality product to me. I absolutely loved this Pista Malai Burfi. The pack containing the most sought after Pista Malai Burfi from Kaka Halwai arrived on the said date and time. I had ordered on Monday and wished to receive it on or before Wednesday but it came on Tuesday itself. Though the sweets tasted blissful, I wish they could have been attractively shaped. However I will definitely order them once again. 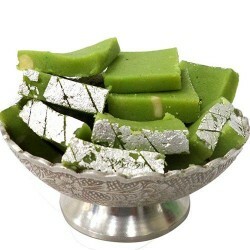 For this Eid I had ordered your Pista Malai Burfi and sent it as an Iftar gift to my muslim friend in Pune. When we met after some days he was literally in tears that his family loved the sweets made from pure Malai and pista. Also he told me that he ended the fast with the sweets that was both tasty and wholesome. I was very proud to have chosen such a gift from Kaka Halwai and took an oath to do so every year, after all real happiness lies in sharing and gifting.